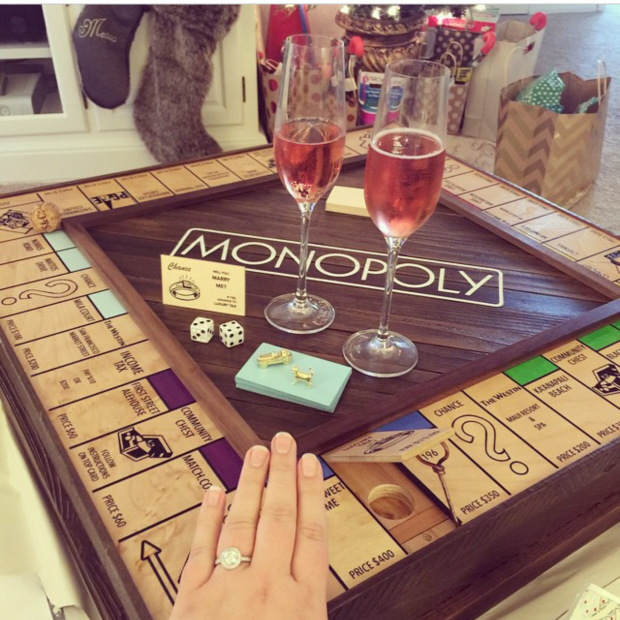 Justin, aka Redditor justinlebon26, posted pictures of his epic Monopoly board proposal to girlfriend Michal and the old-school romantic has the whole internet swooning. He explains that he chose a Monopoly board proposal because it’s girlfriend Michal’s favourite game. 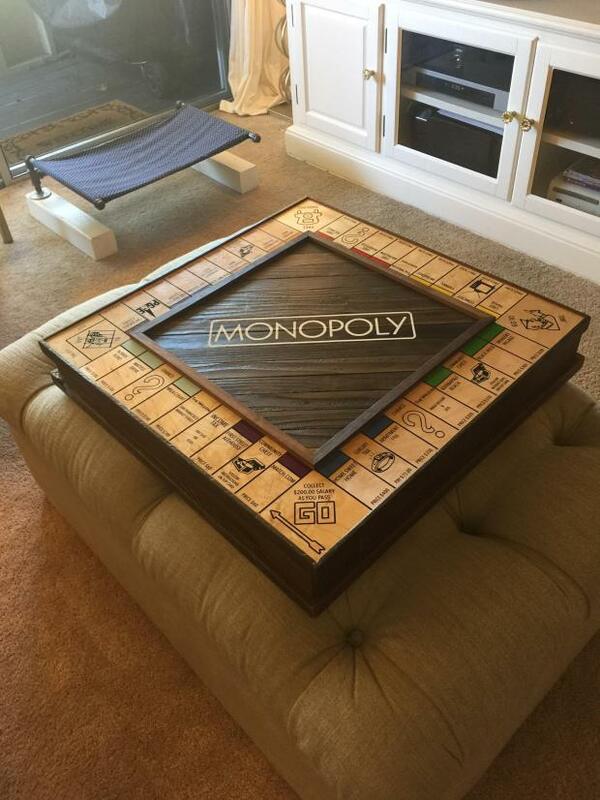 However, the board they usually played with was missing pieces and out of date, so he decided to make his own. Every place on the custom-made board was special to the couple – the First Street Ale House was where they went on their first date, Lake Arlington is their favourite Californian getaway, and Match.com was where they met. Even the dice were custom-made – one had all 3s and the other had all 4s. Because Michal needed to roll a seven to land on Chance. 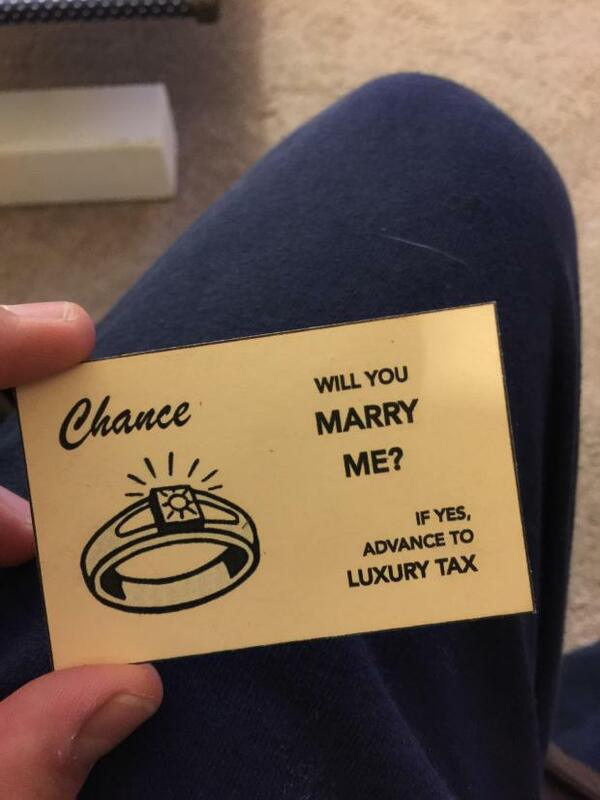 When she picked up the Chance card, it read ‘Will you marry me? If yes, advance to Luxury Tax’. Michal quickly advanced to Luxury Tax where Justin got down on one knee and, he writes, ‘poured my heart out’. Thankfully after all that effort, Michal said yes. Which is when Justin popped open a secret trap door under the Luxury Tax square and produced a diamond ring. Yes, that’s a secret trap door AND a diamond ring. This might just be the best proposal ever.